Well, this post has been "brewing" for about 3 months now. More than once I have written it in my mind but it just never connected with the key pad. I have been quite busy in the past 3 months but I have also felt rather inadequate in writing this post. At the same time, God has given me a BURDEN for mothers of young children. The burden is that they would be so very careful about what they "write" on the pure white slates of those sweet, little people in children's bodies. Being a mother is such a huge responsibility. There is a responsibility to bring our children up in the nurture and admonition of the Lord. We are talking about making daily decisions that will have an effect on eternity!! The purpose of this post is to plead with all the mothers to not only get serious about memorizing God's Word for yourself, but to make it a top priority to inspire your children to hide God's Word in their hearts, too. But before we get to that part, I am going to remind you that we need to "seek first the kingdom of God". If you are going to have time to dedicate to Scripture memory, you will need to clear the slate of some less important and sometimes ungodly, activities. Look at your daily life in the light of eternity. We have this wonderful Scripture song that we sing at our house: "Whether therefore ye eat or drink or whatsoever ye do, do all to the glory of God." Let's fill our days with edifying, God honoring, pure activities. Let's get back to the subject at hand which is hiding God's Word in our hearts. I am amazed at how lazy I am about this discipline! I would rather read the Bible for 15 minutes than memorize for 5. I find it easier to kneel in prayer than to subject my mind to the rigors of Bible Memory. But I will tell you that I have been so blessed with the verses I have memorized in the past year. I just completed memorizing my second chapter in Psalms. I chose 2 favorites-Psalm 27 and 33. Even as I type this, I am convicted by the words of a precious saint about 70 years old who told me a few years ago that everyone should memorize 2 verses a week. My total of about 43 verses for the past year is less than a verse a week!! I have never written a blog; I've never even read one, but I have experienced sixty-six years of life during which I have recognized several important truths. For fifty-six years I have been on a journey, seeking to know God. Believe me, I did not know at the start that my purpose in life was "to know God and to make him known". Although I had good parents, they were not saved; so, no one ever taught me to pray or read the Bible. However, my first Sunday School teacher, Mr. Frank Crall, challenged me, at age ten, to memorize the scriptures. We raced to memorize James Chapter 1, and I won! Other chapters followed –John 14:1-6, John 3, Ephesians 6, and Psalms 1, to name a few. I read the Bible as well and was so excited when I won a Bible contest because I knew that the crucifixion was in Matthew chapter 27. Ten years later, I was required to memorize hundreds of doctrinal verses as part of my Christian college training. I did my homework, (what a novel idea!) and those verses have been the core of my beliefs throughout my life. Decades have passed. I have read my Bible through more than forty-five times. I have been to church three times a week since I was fourteen. Competent, dedicated pastors have expounded the scripture in my hearing. I have a solid understanding of God as revealed in his Word; but, nothing has meant more to me than the random, instant recall of Bible passages to elucidate truth. Amazingly, the verses I learned before the age of twenty-two have stayed with me. I can quote them readily. They have been the mainstay of my life. My only sorrow is that I didn't teach them diligently to my children at home. I made time for music, choir, speech, vacations, serving, and all sorts of church meetings, but I didn't emphasize Bible memory or prayer. Somehow I thought my six children would get this by osmosis. Clouds on the spiritual horizon are warning that persecution is coming. I wonder if my children and grandchildren stand up under fire. Will they know why they are persecuted and choose "to suffer affliction with the people of God" rather than to "enjoy the pleasures of sin for a season.?" If the Bible is taken away, will my progeny have enough hidden in their hearts to draw strength from its eternal words? Do they really believe, or are they Christian in name only? 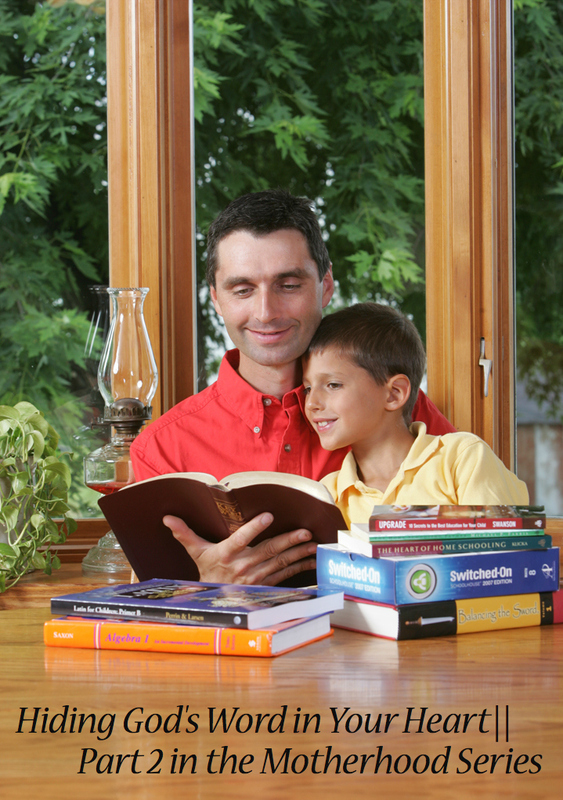 I encourage all parents with children still at home to read the Bible out loud as a family. Then, memorize it together. If you learned one verse per day, you would know 365 in one year; 3650 verses in ten years! That is HUGE! If an average chapter had 25 verses, you would know 146 chapters of the Bible. Is there anyone out there who is really doing this with her children? I would love to hear from you. My email is -- barbararzarris@gmail.com. Let us take seriously her admonishment to help our children in this endeavor. It should be the MOST important part of everyday. Honestly, this is an area in which my children have done so very much more than I ever dreamed of doing. I have seen that as they memorize large portions of Scripture, it has helped them in nearly every area of life. Some of the benefits I have seen in the lives of our children are a deeper love for God and His Word, a greater spiritual understanding, improved work habits (I think this comes from the discipline it takes to memorize), a love for truth, wisdom in making decisions, and a willingness to stand up for God and His Word. The only reason that we ever need for memorizing Scripture is found in Psalm 119:11 "Thy word have I hid in mine heart, that I might not sin against thee." In addition, God's Word is so quick and powerful to help us stand against temptation when it is hidden in our hearts. Psalm 119:105 "Thy Word is a lamp unto my feet, and a light unto my path." I love the 9th verse from Psalm 119, "Wherewithal shall a young man cleanse his way? by taking heed thereto according to thy Word." Is there a better way to redeem the time than to have a daily time for memorizing and reviewing God's Word? Announcing Our New Album Release! This project has been a long time in the making! We were more careful that ever with our music selection process, as we deeply desired for each song to be impactful and proclaiming the message of family values, faith in Jesus Christ, and worship to our Creator. The title song (Someone You Can Reach) was written by our pastor and his wife and it is one of the most dynamic songs we have ever sung. When selecting a title track we were all in unison that this was the song to choose. God has already used this song to impact and challenge so many lives including ours and we are grateful for the opportunity to bring the message of this new song to the world! As always, this album included hours upon hours of arranging and practicing, not to mention the countless hours spent in the studio and production process. We were blessed to work with some incredible professionals who added so much to this project! 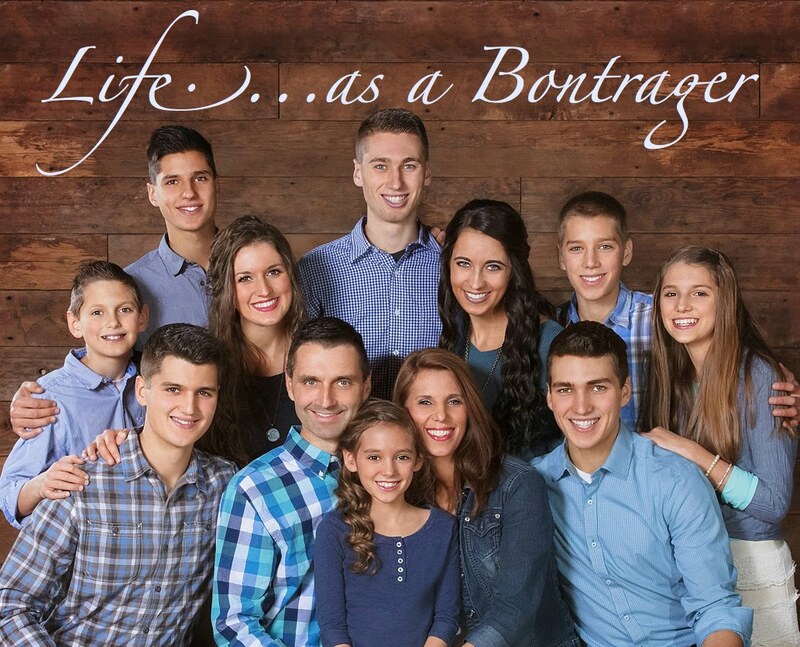 "I had a great time working with the Bontrager Family on their latest project. Great musicians, great singers, great people! Nothing beats their family harmony!" been an inspiration and encouragement to how I should commune with God." Someone You Can Reach. Every song is enjoyable and well done. work with them and watch them grow both in ministry and in their musical ability. enjoy this family's sincere ability to spread the gospel through song. We also now have our albums available for download purchase on our website. In addition, you will be able to listen to preview clips from several of the songs on each of our albums. For those that may prefer it, our music is also available for purchase via iTunes. 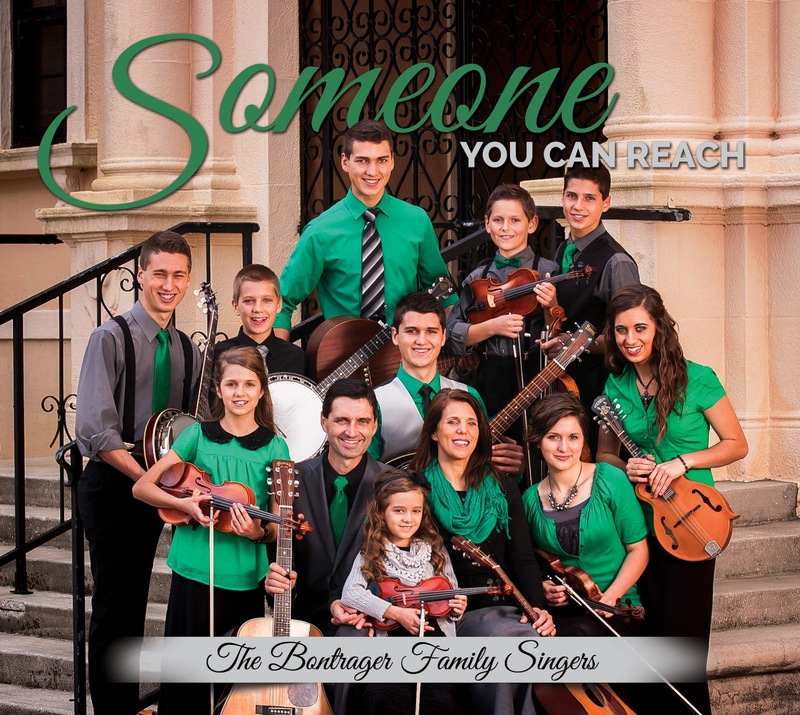 (info@bontragerfamilysingers.com)  for our bulk order rates! singing with grace in your hearts to the Lord." I know we say this every year but truly, this was the BEST year of family camp, yet!! We had over three hundred attendees from over eleven states join us for a week of family encouragement and discipleship. It is so amazing to see that after nine years, God just continues to awe us with His unbelievable blessings that He pours out so abundantly upon us during this special week. Family Camp is without a doubt one of the highlights of our family's year and each year we leave feeling so encouraged and refreshed. There were so many pictures taken and so many memories made. There were new friendships forged and old ones strengthened. There was an abundance of laughter, good food, and physical activity. There were challenges from God's Word. There was lots and lots of worship and jam sessions. There were lots of babies. There was even a new relationship became official AT CAMP this year-yay! For a full recap of some of the highlights of camp each year, visit the post from last year here. And now, enjoy a few of the pictures from our photographers! "But thanks be to God, which giveth us the victory through our Lord Jesus Christ.